This is a really enjoyable story, set in the small town of Willow Springs, it is cold and time for the local Maple Sugar Ball, the lovely Caitlin Summers has come to town to help her friend out in her shop, and she is not looking for love, but small towns and friends tend to want everyone to be happy, and when she meets local Corey Duncan, well her heart is starting to flutter. Caitlin was hurt badly when her last relationship broke up, she left her family and her home state of San Diego and traveled through Europe trying to get her life back together, she is now on her way home and makes a short stop in Willow Springs to help her friend Annette out, but when she meets Corey she is starting to have second thoughts about where she wants to live and with her pulse beating faster whenever she is with Corey change needs to happen. Corey has lived in Willow Springs forever, he was happily in love and married but he lost his Annie five years before and swore that he would never love again and would spend his life single, but when he meets Caitlin he feels very drawn to her, being single does not hold the appeal it used to and as they get closer practicing the lion dance so does the sensual pull. Two people who had pretty much decided to stay single, two people who are loving and caring and when they find each other the sparks fly and they fall into each other’s arms in a sensual and loving journey to find a beautiful HEA, I do highly recommend this quick read that is sure to leave a smile, and it is the first in a series yay. Thank you MS Boon for a wonderful happy story. 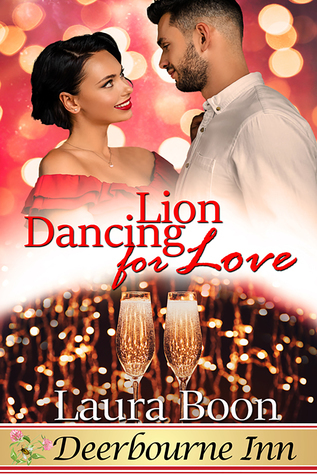 Sign into Goodreads to see if any of your friends have read Lion Dancing for Love.